Congratulations to Vivian Furbay for winning a copy of Plummet. Please e-mail your mailing address to my assistant Christen (amy@triciagoyer.com). 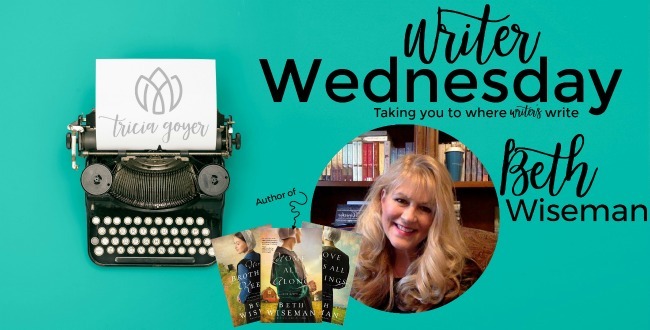 Enter below for a chance to win a copy of Beth Wiseman’s Home All Along! Childhood books that come to mind are The Little Engine that Could, Curious George, and The Cat in the Hat. As I got older, I loved the Nancy Drew mysteries. I can’t recall a specific book that made me want to become an author. But I remember the joy that reading brought my mother. She always had a book in her hand, and at eighty-three years old, she still reads more than anyone I know. That influenced me as a child and continues to do so. But, if the truth be told, I always had a story to tell, even when I was very young. I just had to learn to write, lol, so I could get them down on paper. I’ve recently become a fan of Catheryn Ryan Hyde. I read When You Found Me and Don’t Let Me Go. I enjoyed them both. I’m getting ready to start reading From Sand and Ash by Amy Harmon. She is a new author to me, so I’m looking forward to diving into this one. My reading preferences are all over the place. I’m a big-time genre hopper. This year, some of the books I loved included Stephen King’s Doctor Sleep (the sequel to The Shining), Redeeming Love by Francine Rivers (I might be the only person who hadn’t read that fabulous novel), and a surprise hit for me was The Wonder by Emma Donoghue, which was actually recommended to me by a member of my publishing team. But Kristin Hannah’s The Nightingale was one of the best books I’ve read—ever. My reading time has become such a luxury due to my writing schedule, so I take a lot of care when choosing my next book. I tend to read the samples available online for authors I’m not familiar with, and I’ve found some great books that way. But I’ll also be checking new releases for the authors mentioned above and others whom I’ve grown to love. It’s my reward to myself when I finish a project! Would love to read this book. Sounds like an awesome series. Thanks for your most generous giveaway. Hello! I’m really looking forward to reading this series. Thank for the chance. 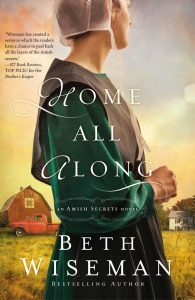 I love Amish fiction and would love to read your book Beth. Thanks Tricia for hosting Beth this week! I love hearing how other writers began, as well as seeing their perseverance. Good Morning Beth! I have read some of your books a few years back when I was reading mostly Amish books. This new book has my curiosity about what the girl will decide.